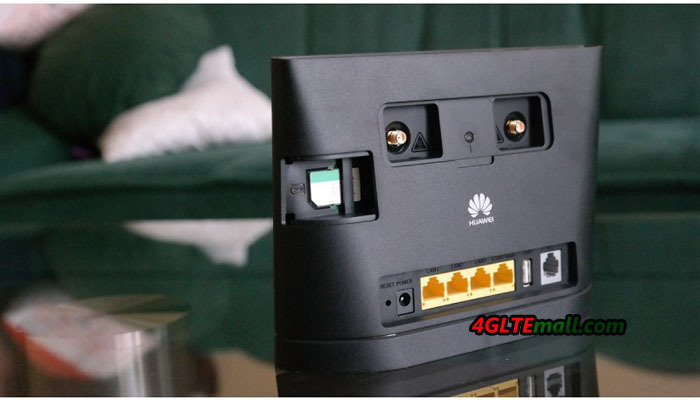 Huawei released a new LTE CPE B315, compact stationary LTE-router, which supports LTE cat.4 (up to 150 Mbit/s), and focused on the use of the house or in a small office. Technically, nothing is outstanding, but it works well and does what it should do. Supported network standards: GSM 900/1800 MHz, UMTS 900/2100 MHz, LTE-FDD 800/1800/2600 MHz, LTE-TDD 2600 MHz. The data rate for LTE-FDD technology – up to 150 Mbit/s for downloading data and up to 50 Mbit/s for uploading data; for LTE-TDD technology: download up to 112 Mbit/s and data at upload to 10 Mbit/s. The data transfer rate for DC-HSPA+ technology: up to 42 Mbit/s for download and up to 5.76 Mbit/s for upload. Support for 802.11 Wi-Fi a/b/g/n, 2.4 GHz data rates up to 300 Mbit/s, intelligent noise reduction system. Support for simultaneous connection of up to 32 Wi-Fi devices. Support for automatic backup Ethernet-connection to the Internet. Three LAN ports, one (fourth) LAN/WAN. RJ11 port for connecting a wired phone. USB connector for connecting an external drive or printer. Support for receiving and sending SMS. Support for voice calls SIM-card in both directions, including the LTE network (CSFB). After testing, I would describe Huawei B315 LTE CPE as a modern budget “workhorse” with a set of features sufficient for most users. But many desirable technical delights you will not find here. Supporting LTE cat.4, a theoretical maximum data rate of 150 Mbit/s for downlink and the data up to 50 Mbit/s for uplink could be achieved. Wi-Fi standard is 802.11b/g/n. Wi-Fi range includes only 2.4GHz, No 5GHz. The maximum number of connections for Wi-Fi is 32 users. The B315 router can provide very good coverage of Wi-Fi. And it’s clear and fast to switching between wired and mobile internet in both directions. The advantages of the B315 are in compact size; there is almost no need to configure anything, a good reception on the built-in antenna, a clear work and visual indication. The disadvantages are lack of Wi-Fi range of 5MHz, no tweaks and additional features. For example, no built-in torrent client, the USB-port does not support a second modem connection etc.. 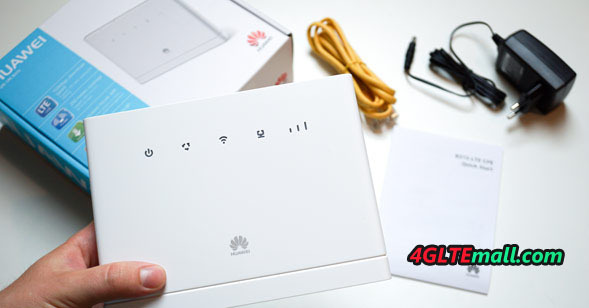 The package box of Huawei B315 includes quite compact router, user Manual, an Ethernet cable, external power supply to the output current of 1 A. 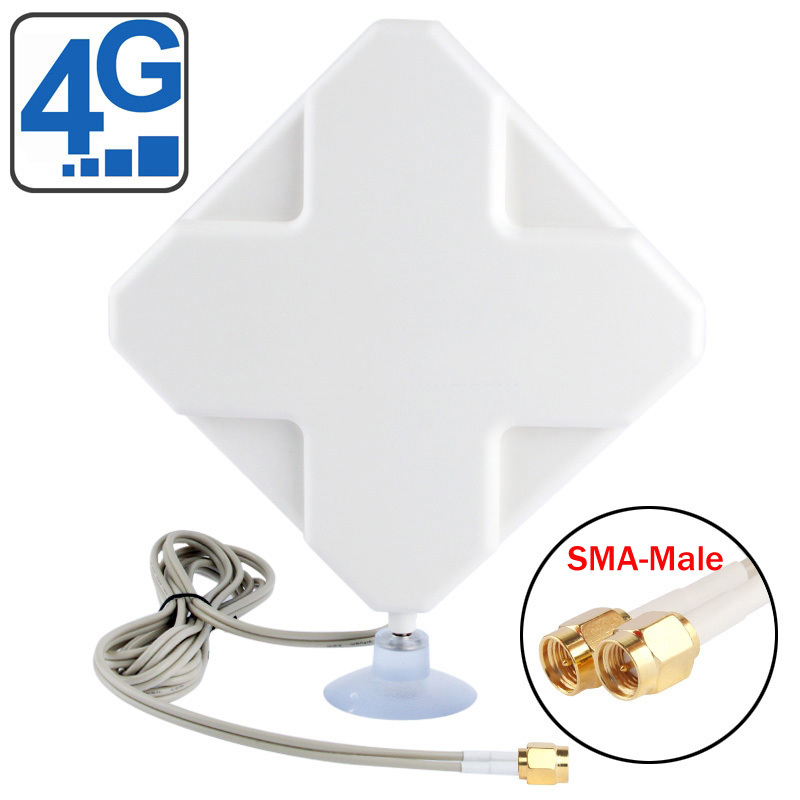 Once again, external antenna not included, and you will have to buy yourself if necessary. There are two colors available: black and white. The body of B315 LTE CPE is made of plastic but feel good if hold it in hand. As already written, all the connectors and other features are hidden on the back panel, including slots for external antennas, which in most cases you do not need and they are covered by a removable cap. 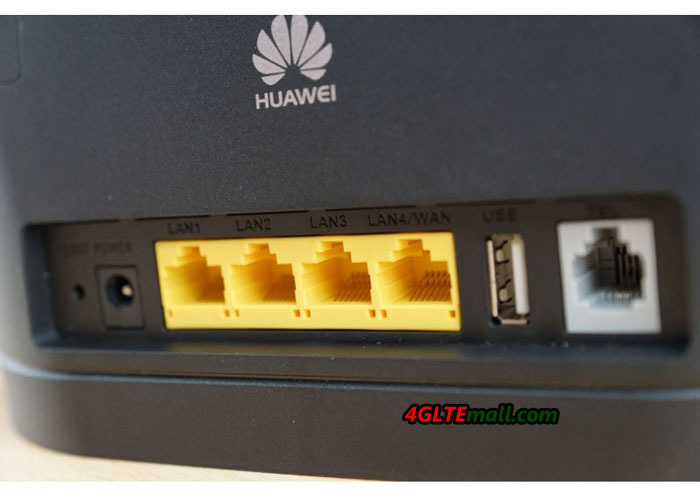 The button to activate WPS is on the top of Huawei B315 Router, for the on-off, the button must be held down for 3 seconds. Besides the WPS button, it’s the power button. On the bottom of the CPE B315, all the necessary information about the network SSID, passwords, etc. are listed on the sticker. At the left side of the external antenna, it’s the SIM card slot, it’s for standard SIM card size. 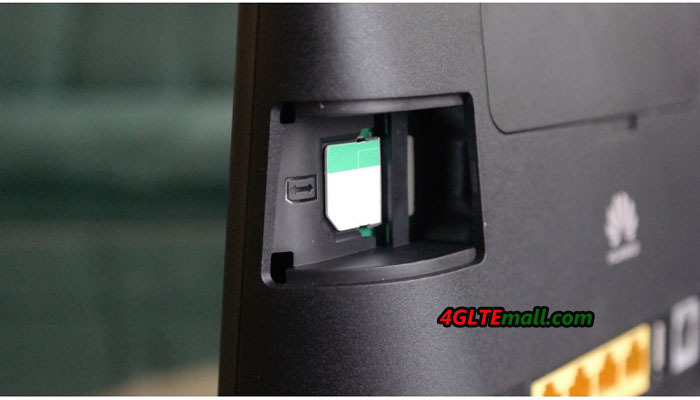 There is a plastic cover on the slot, user have to pull the cover out and then insert the SIM card. The settings control of the Huawei B315 router could be done via the Web-interface (http://192.168.8.1 address) and mobile application. The WEB-interface, everything is pretty standard, and user can select the network mode manually, there is 4G-LTE, 3G and 2G variants provided. 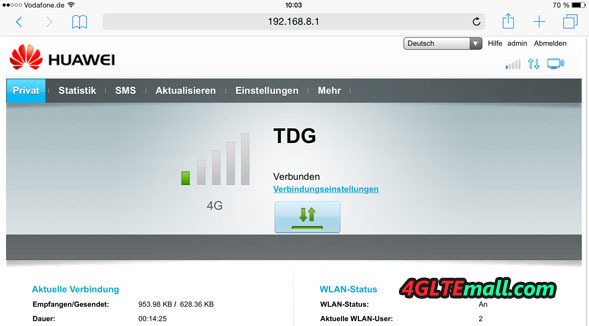 On the main page and in the status bar (top right) shows the type of Internet connection, which is currently running a router and distributes online consumers. In the Statistics page, the traffic consumed via the mobile network is correctly displayed. Unfortunately, there is no settings for daily traffic accounting, only for the period of one month. The router can “broadcast on the air” to 4 SSID at the same time, enabled by default one. Work with external antennas can be flexibly adjusted using one external + internal, two external or two internal. By default, the internal antenna, so just connect external will not change anything; do not forget to change the settings to external in the WEB-interface. User can also run the latest version of HiLink under Android. In principle, the functionality of the application is enough in most cases. Send and read incoming SMS through it is too comfortable. It’s declared by the manufacturer that the Wi-Fi coverage range is up to 250 meters. But manufacturers say a lot of things, but in practice conditions are always far from ideal. Switching from a wired connection to the cellular network and vice versa automatically works out for 2-3 seconds. The default priority is given to the wired connection settings. Voice calls (incoming and outgoing) in the LTE network are also normal (CSFB). It’s promised in the next software update, the support for VoLTE will be supported. 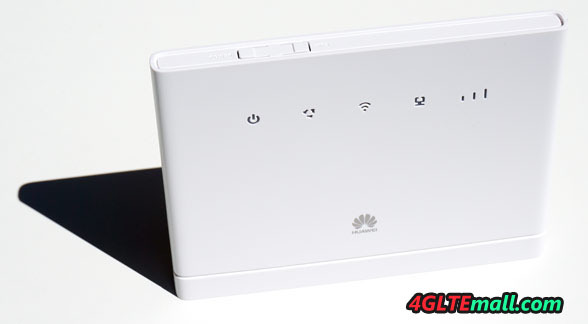 The Huawei B315 4G Router is a common LTE wireless gateway and no special feature. But it’s a decent wireless router for home or small office. And it’s enough for daily usage. 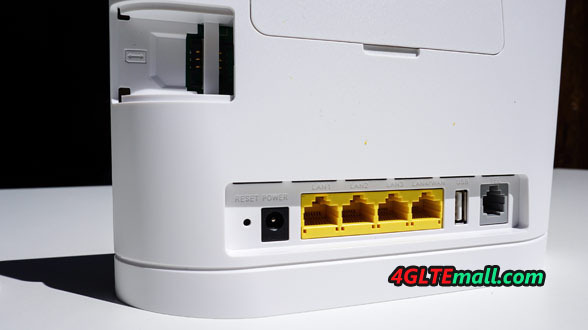 If you want 4G Router with higher configuration, you may check Huawei E5186 Router LTE Cat6 router or ASUS 4G-AC55U LTE Router.